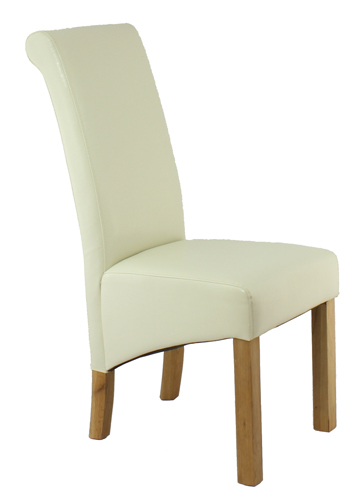 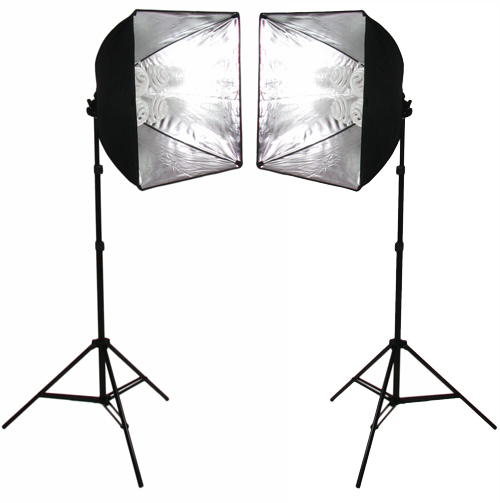 The SimplyFoto 150cm Studio Lights Photography Kit is ideal for photographing a wide range of medium to large sized products including furniture up to about 120cm x 120cm. 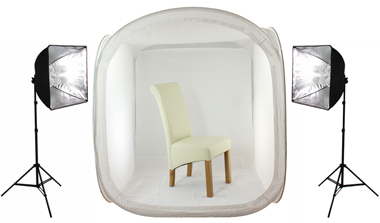 The SimplyFoto Light Tent Cube is an ideal entry level light tent for those new to product photography or for anyone wanting a simple set up. 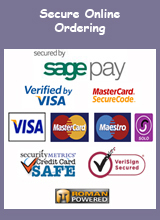 It is easy to set up and quick and easy to use. 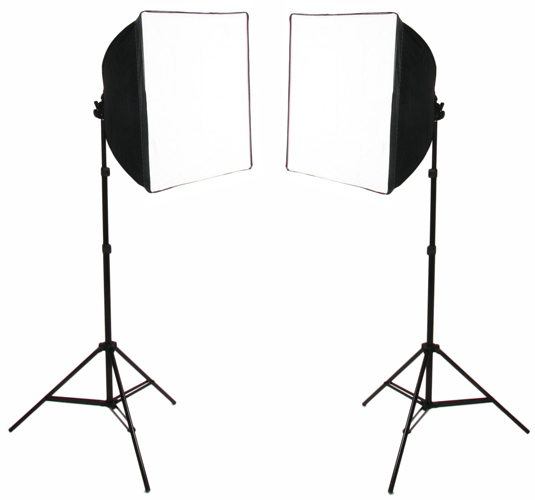 It is a traditional six-sided photo light tent with a front cover to completely enclose items. 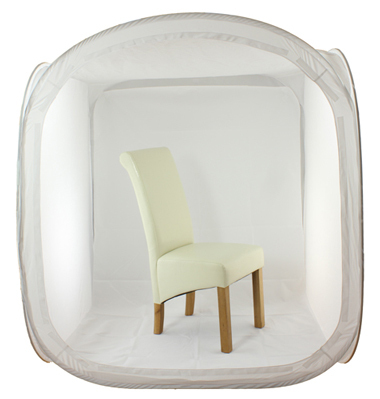 PLEASE NOTE: The 150cm SimplyFoto Light Tent Cube is VERY LARGE and needs a HUGE amount of space. 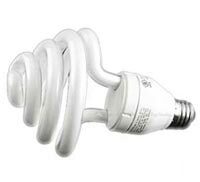 Remember to allow space for the lights too.